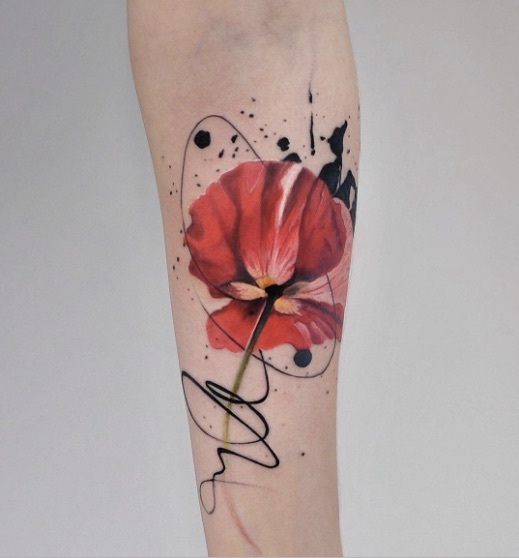 While some like their tattoos neat and clean with all the colors within the lines, there are others who prefer the artistry of a more abstract tattoo. Tattoo artist Aleksandra Katsan—better known as @dopeindulgence on Instagram—specializes in a stunningly colorful style that make her creations look like watercolor paintings. In addition to the fluid brush-like strokes and riot of bright hues, her work has a spontaneous, in-the-moment vibe because they include the paint splashes, blots and drips that you are likely to find on a real watercolor artwork. Scroll down to view some of our favorite deigns from her portfolio—follow her on Instagram to keep up with her striking art.